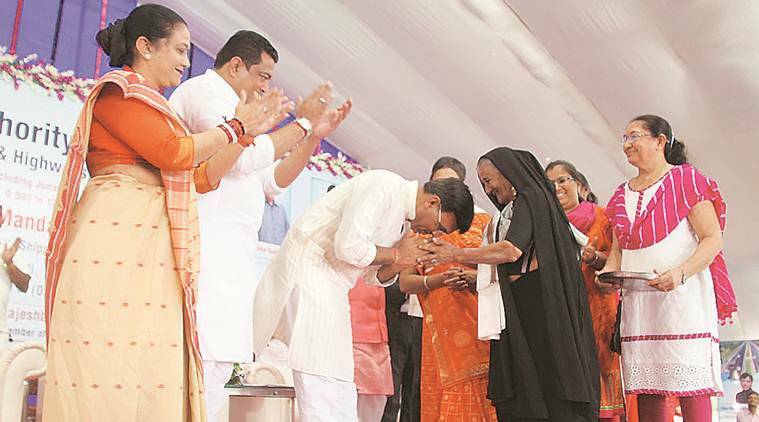 Mansukh Mandaviya, the Union Minister of State for Road Transport and Highways, Shipping and, Chemicals and Fertilisers laid the foundation stone of the bypass section at a ceremony organised on the outskirts of Junagadh city. UNION MINISTER Mansukh Mandaviya on Thursday laid the foundation stone of the proposed Junagadh bypass section of National Highway 8D in Junagadh. This comes a couple of days after farmers withdrew their nine-year agitation over acquisition of their land for the project. Mandaviya, the Union Minister of State for Road Transport and Highways, Shipping and, Chemicals and Fertilisers laid the foundation stone of the bypass section at a ceremony organised on the outskirts of Junagadh city. Mandaviya, who is a Rajya Sabha member from Gujarat, said that the 20-km bypass section beginning from Vadal village on the northern outskirts of Junagadh city to Shapur village on the western outskirts of Junagadh will be built at an approximate cost of Rs 200 crore. Praising the farmers for giving their land for the project, the minister said: “People whose land was acquired to build the road, instead of getting arrogant, the elders blessed me saying they were happy as their land was used in the development of the nation. This clearly shows the support of every citizen for the development of the nation…,” Mandaviya posted on his social media account.